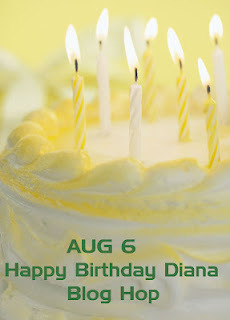 Sherrie Scraps with passion: Happy Birthday Diana Blog Hop!! If you have come from Amy's Crafting Space, then you are in the right spot. If you stumbled upon this and would like to start at the beginning, go HERE. I made a fun shaped card using the Nesting Eyelet Circle dies from Quik Kutz. The paper is from American Crafts called garden cafe. The next layers are Spellbinders Moroccan Motifs which I popped up for some dimension and inked with Tim Holtz-old paper distressed ink. Then followed with a 1 3/8 circle and sentiment from My Creative Time-Wow, so many candles set. I add a beautiful butterfly using the layered butterfly punch from EK Success. I topped it off with a double satin bow, button, twine and fun tag/sentiment also from My Creative Time-Teeny Tag Greetings. I will choose the winner, via random.org and post it on Sun. Aug 12th....Please note, due to shipping I can only accept USA and Canada entries. Be sure to join in Diana's Birthday Blog Hop Challenge ....she will be giving away the "Love ya Latte" cartridge!!!!! 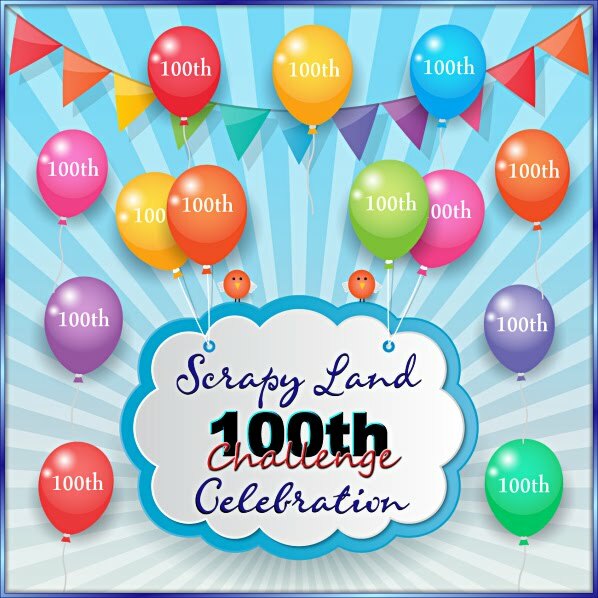 You will have until the 10th to get your entry in. Can't wait to see what you create! 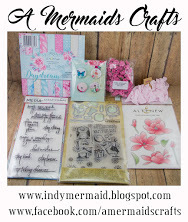 Your next stop in the birthday hop is the amazing and talented Amy at Redheaded Crafter. Thanks so much for joining us and HAPPY BIRTHDAY DIANA!!!!!! Hope you have a wonderful day my friend! I love this card with it's elegant edges and intricate design. Beautiful colors and wonderful sentiment. Fabulous! So happy to be sharing in the celebration of a great friend with you Blend! What a delicate and beautiful card! Great work! This is beautiful Sherrie! Love the colors, shape and love the sentiment!! Another gorgeous bow also!!! FAB job my friend and so glad to be hopping with you! TFS and have a GREAT day!!! How fun!! I loveeeeeeeeee your card!! LOVING the colors and the shape is BEAUTIFUL!!!! Gorgeous CARD like always my friend. Hope you enjoy your week. Beautiful card Sherrie. Love all the layering and great paper choices. Like the layers. 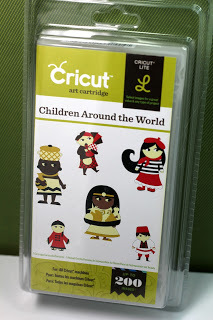 I have some of the Spellbinder Motif die cuts but have not used them much. Thanks for giveaway chance. Such a great card Sherrie. I love all the different shapes you used. So elegant. Very pretty card. I love the color combination and all of those Spellbinders you layered. Gorgeous Sherrie. This is just so pretty with all the beautiful layers. Great colors and the most gorgeous bow!!! I'm a new follower. I love your card, it's so beautiful! Very pretty card. Love the shape and the layers. This card is so sweet and lovely! You are so talented Sherrie, I love your work! oh my...just look at all those beautiful layers! Such pretty papers and so many gorgeous layers, topped off by one of your fabulous bows! Love this card! Hi Sherri! !Your card is Gorgeous! !Love the dimension and MCT tag...lol..Thats one of my Favorite Stamp/Dies...Great Giveaway!I need the buttons..lol. Hi Sherrie:) The base is so delicately beautiful and elegant! That ribbon sure makes a statement on the card. Beautiful and so glad to hopping along with you:) Have a fantastic day!! Very pretty Sherrie. I love the delicate shapes. Good Morning from me the birthday girl I slept in this morning. Only to wake up to a wonderful party. This is so elegant and beautiful Sherrie, You are the queen of bows. I love the added butterfly. The color combo is perfect. So pretty Sherrie. Love the scalloped background. Beautiful shaped card!! Love it! So PRETTY Sherrie! The layers are so fantastic and that bow....oh those bows... They are just perfection! Only you know how to make them look this pretty! This is so so so super cute, Sherrie! Love all the intricate cuts and the big, perfect bow. It was great hopping with you! 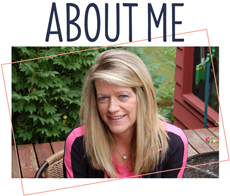 wow, Sherrie, your card is beautiful. This is so pretty!! Your bows are always fantastic!!! Your card is totally gorgeous!!!! I love the shape and design and the beautiful colors! I am already a follower! Thanks for the chance to win! What a beautiful shaped card! What a fantastic card! I love all the detailed cuts and as always, your double loop bow!! Sherri, Diana is going to love this beautiful card! Your card is beautiful Sherrie. So nice for the birthday girl. TFS. love this sherrie! love the lacy layers! Super gorgeous! Love that butterfly! As always, a fun, fun card. I love the unique shape and the colors and that butterfly awesome!!! What a gorgeous card, Sherrie! The colours are so regal and I love the layers on your card. Super cute card. Great shape and design! Beautiful layer and butterfly! What a beautiful shaped card! So girly. Thank you for sharing on this fun bday hop with a new visitor and follower. Love this card, thanks for sharing! Your cards always make me realize how important it is to 'think outside the box' sometimes. Great reminder to use my 'other' dies! Thanks for the opportunity to win! Very nice!! I like all the layers. Beautiful card.love the shape and the die cuts.Beautiful tied bow and colors. Like always your card is so beautiful!! So pretty, Sherrie! Oh, I should dust off my QuicKutz dies and use them...your creations always inspire me. I hope you are having a good summer and that all is settled with your house. I love this one Sherrie! Very festive colors! Hi Sherri, boys are you ever getting back into it!!! Loveeeeeeeeee your card!!! I would love to know the dimensions of the ribbon you use for I have tried and lo and behold I can't even get close to doing what you do, hahahaha.. Love the shape of this card and that butterfly! I am not doing the hop but hey what a great prize!!!! Thanks for the chance to win your lovely candy. Beautiful card! Love the layers and the colors. Love shaped cards...good job! Already a follower. I love your card! It's too cute!! Another gorgeous card with another gorgeous bow! Total awesomesauce! Beautiful star shaped doilies, just love them!! !